Finally, a true replacement for crumb rubber inﬁll. Since 2004, Brock has led the industry in research about athlete safety and the environmental impacts of artificial turf. We were the first ones to achieve Cradle to Cradle environmental certification for our base systems, the first to offer a 25-year warranty, the first to hold national educational forums for designers and scientists, and the first (and still only) to achieve the higher head protection safety levels of pristine natural turf. 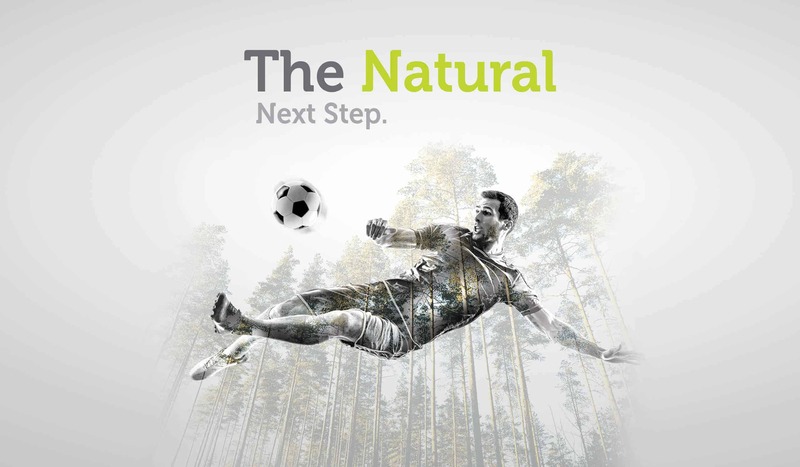 It has been proven in many player studies that athletes prefer natural turf to artificial. 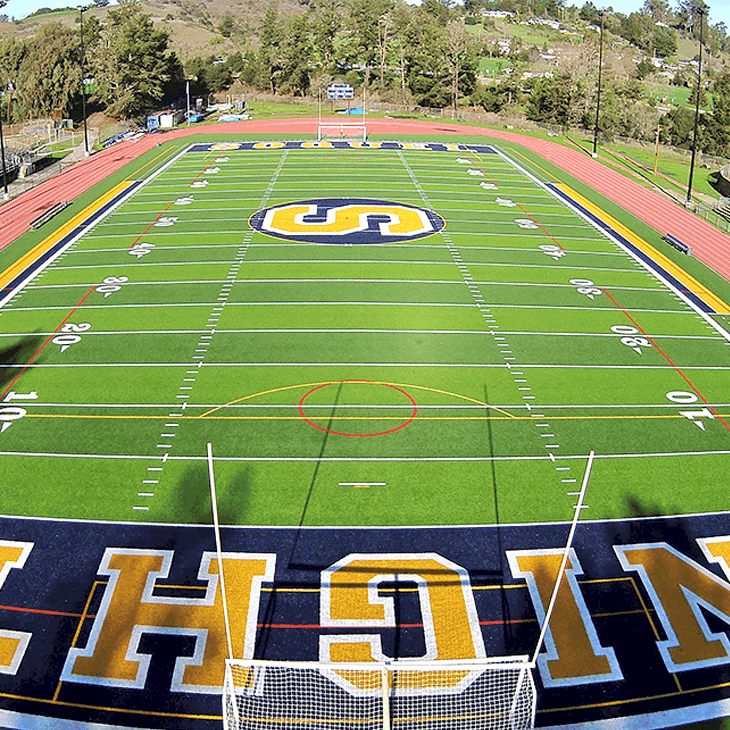 Those same studies show that artificial turf fields that use shock pads are universally preferred over those that do not – so the least preferred system by athletes is artificial turf directly over stone. Additionally, 1-in-5 concussions happen when the head hits the surface and lower leg injuries are higher on conventional artificial turf than on natural grass. 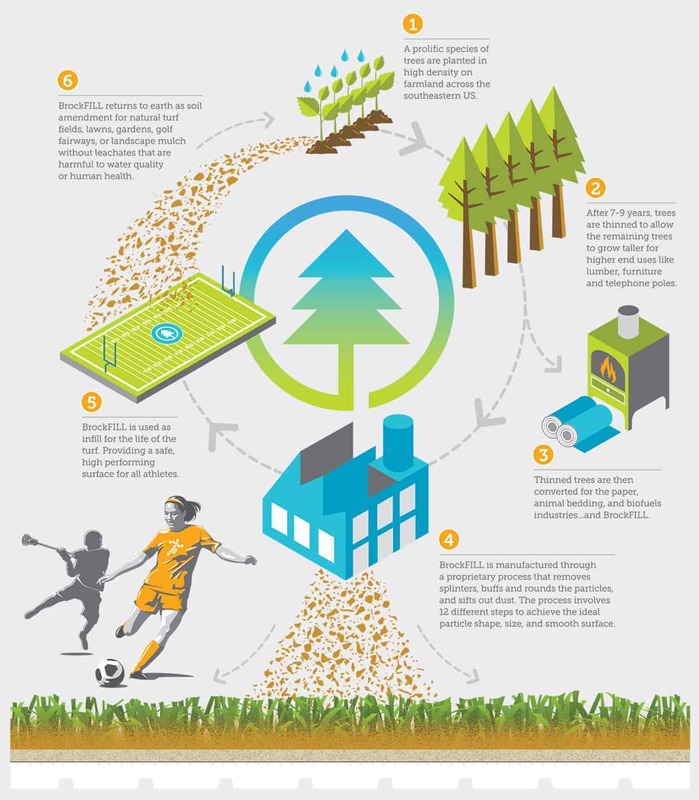 All this has led to a paradigm shift in thinking about artificial turf safety and why it is essential that it mimics well-groomed natural turf. 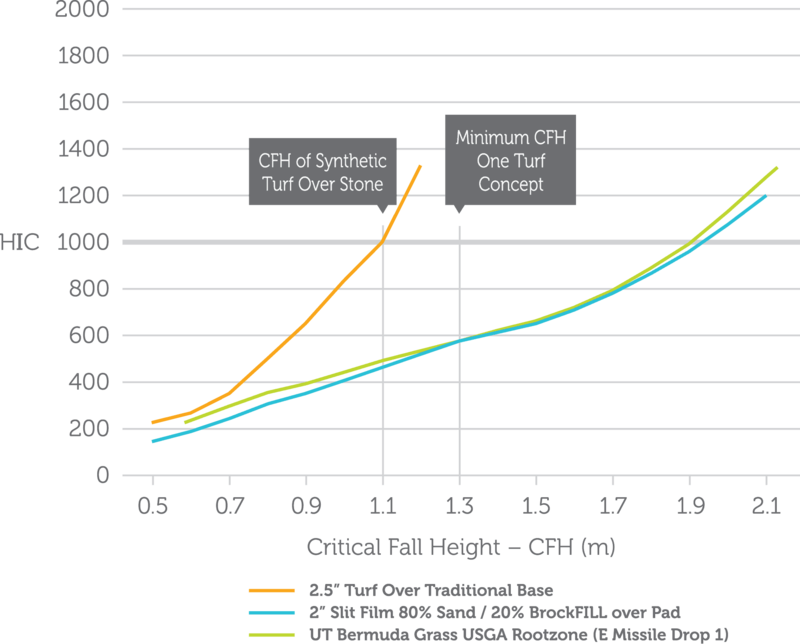 The challenge is to create a system that feels like natural turf and that means changing the one component athletes hate most: crumb rubber infill. It’s too hot, it smells, it’s too abrasive, it’s unstable under foot and its end of life is an environmental tragedy. As global warming continues, climate change will make these surfaces literally too hot to play on. Starting in 2015, the Brock team worked with a specialized group of universities, sports testing labs, PhD scientists, engineers, horticulturists, and several sports science experts to develop a solution to these problems. True to Brock form, we left no research question unanswered. Now another first: A durable, cool, affordable, best-performance infill engineered for athletes. And it’s organic. In a world that is getting too hot, it’s time to cool off. An Abundant, Renewable U.S. Resource. Humans evolved running on natural surfaces, not a rubberized bouncy turf that changes consistency across the field. 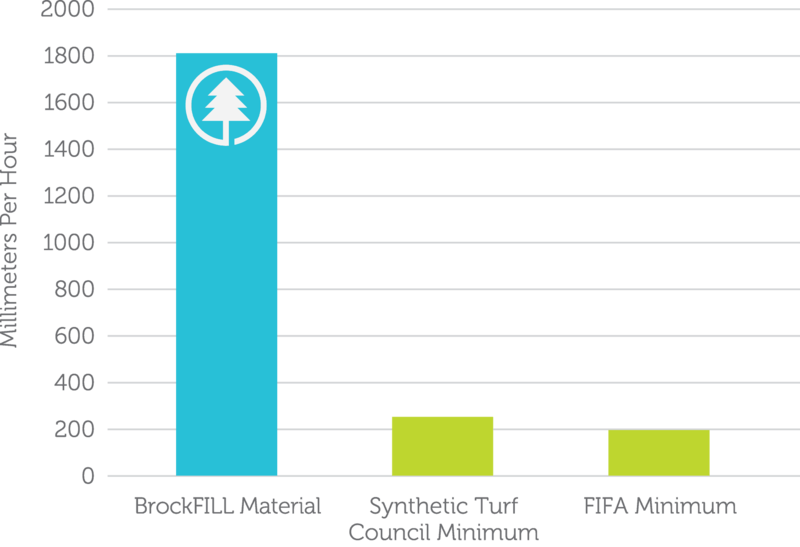 BrockFILL feels like natural turf under foot and falls within the optimal traction range (FIFA 2-STAR) without the variability in energy restitution (“bounce”) of crumb rubber. Keeping infill in the turf is key, so the lower the splash the better. 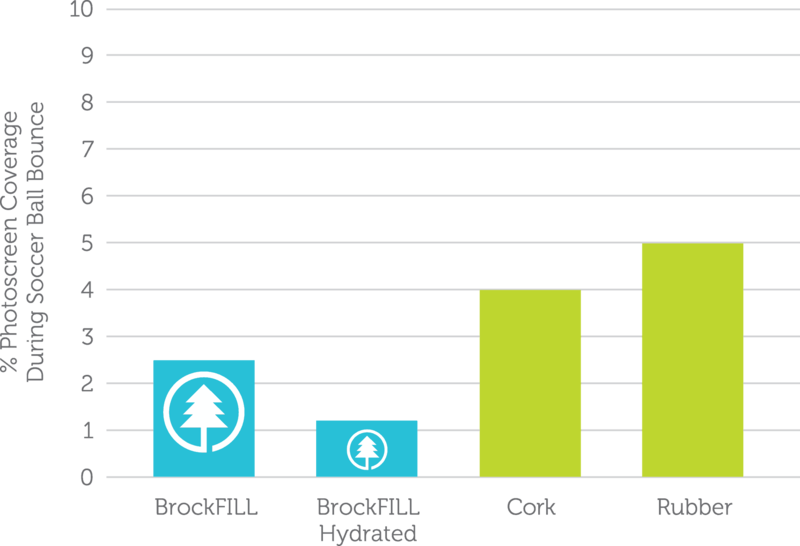 BrockFILL achieves the lowest splash when dry compared to other infills and is even better when damp. 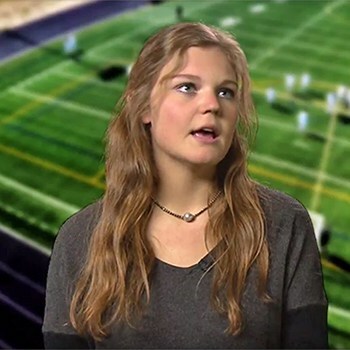 Besides field temperature, abrasion is the most common complaint from athletes about artificial turf. Independent testing from Labosport measures heat generated as a device slides across the turf sample using a mass and speed representative of a sliding athlete. 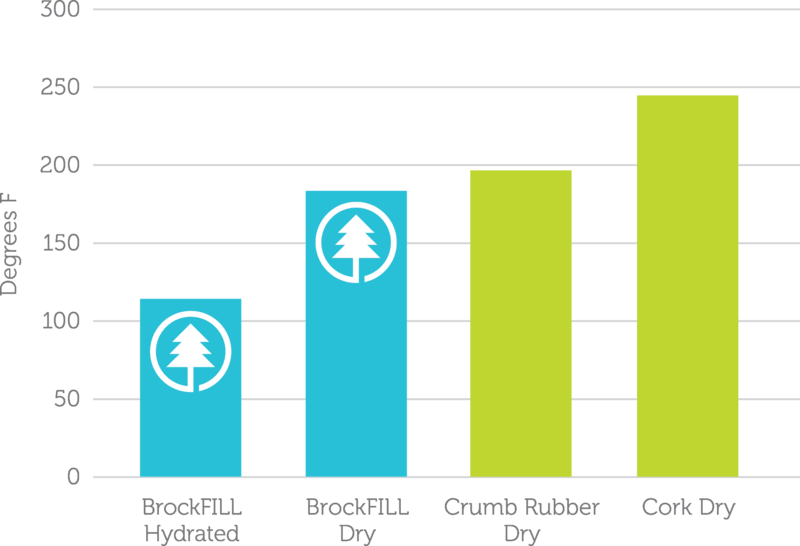 BrockFILL generated the lowest heat score, therefore the lowest abrasion, of any infill, even crumb rubber. Better yet, abrasion is even lower when BrockFILL is damp. 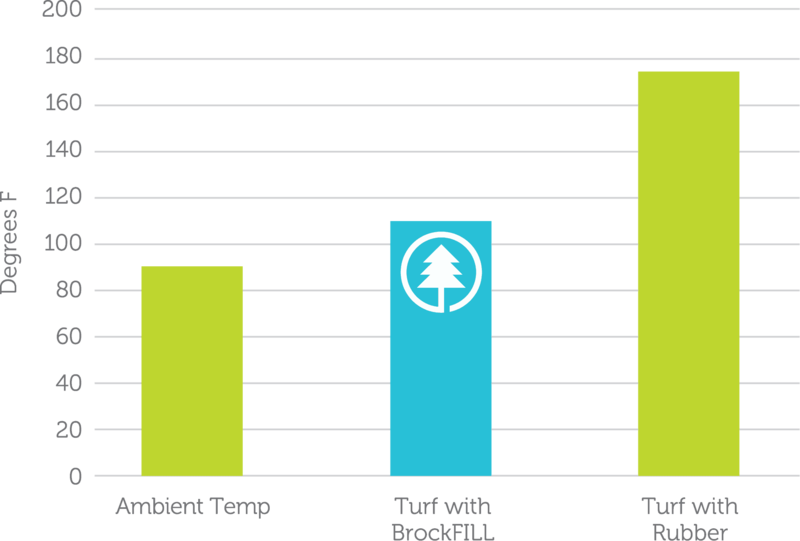 BrockFILL is a significantly cooler infill than crumb rubber and does not require watering. Each BrockFILL particle is naturally hydrophilic, so they absorb natural rainwater and condensation into their core, not just on the surface. Moisture is then released slowly for extended cooling. 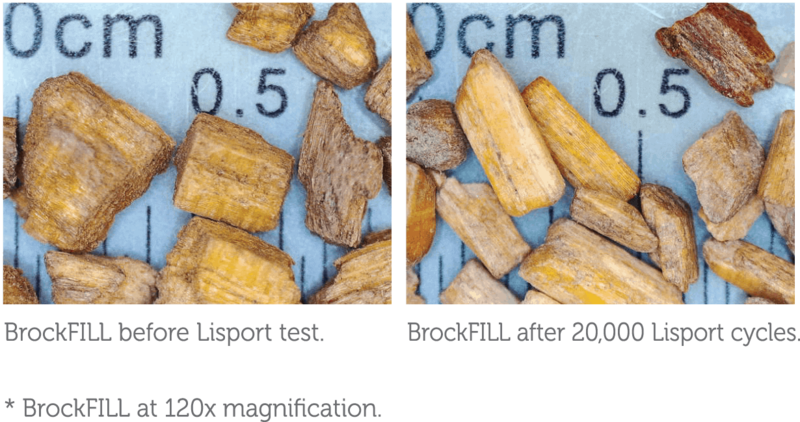 Plus BrockFILL gains weight when wet, so it doesn’t float or migrate like cork. This video shows the hydrophilic nature of BrockFILL particles and their high affinity for water. Notice how rapidly it absorbs the droplet, which then provides a prolonged cooling effect on the field. 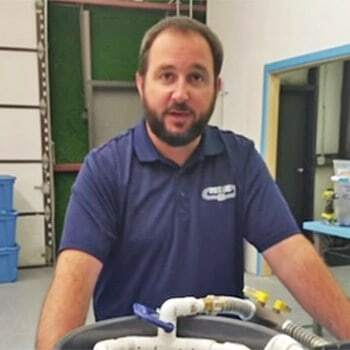 BrockFILL has such an affinity for water that it will absorb condensation from the air in humid climates and self hydrate even when there is no rain. This is important for keeping the field, and athletes, cooler especially in places like Texas and the Southeast where both temperatures and humidity are high. BrockFILL is an extremely durable organic material. After 20,000 Lisport cycles, the particle dimensions remain virtually unchanged. Additionally, the particles improve over time! They get smoother, further lowering skin abrasion without breaking down. 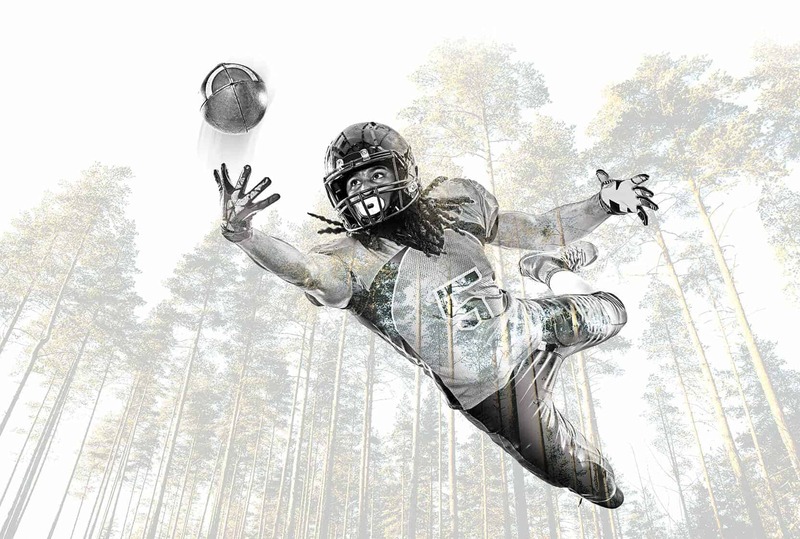 The BrockFILL system utilizes Brock shock pads to provide the optimal energy absorption and head injury protection, while remaining firm for running: something a rubber and sand field over stone cannot achieve. * All test reports available. When infilled sand and crumb rubber systems were first introduced in the late 1990s they were a significant leap forward for artificial turf sports systems when compared to the original nylon turf. These systems have been used prolifically, but the shortcomings in the design, performance, environmental impact, and safety cannot be overlooked any longer. These systems, long touted as shock-pad free, do not provide the safe surface athletes deserve. They create foul smelling and dangerously hot environments leading to burns, blisters and heat exhaustion, and rubber can create an unnatural, “bouncy” feel which results in the instability that contributes to fatigue, joint stress and lower extremity injuries. The waste and disposal of crumb rubber has reached alarming levels. A typical athletic field is the size of a 500 car parking lot, and can reach temperatures of 180 degrees. Hotter than asphalt! With the effects of global warming, this has to stop. 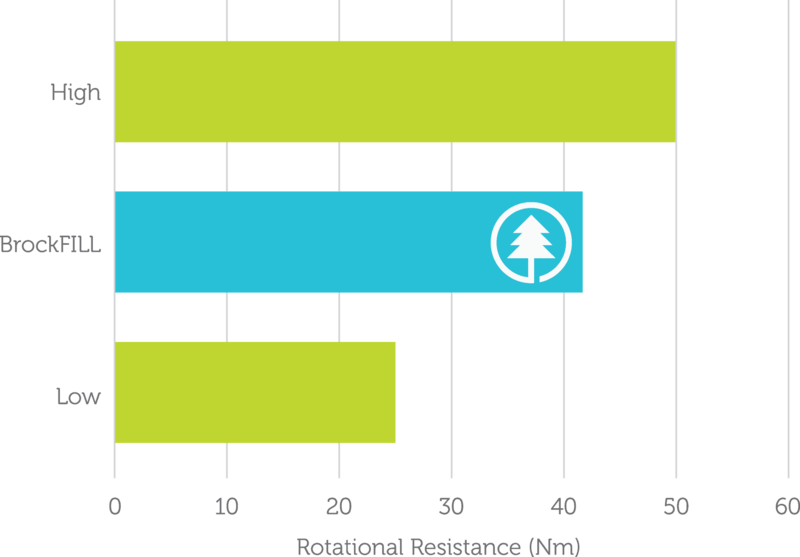 Years of research, testing, and studies have led to a superior playing surface. Twenty five years from its introduction, it’s time for the crumb-rubber, turf-over-stone system to take its place in history and clear a path for the next generation system for athletes. One that is cooler, firmer, safer, and leaves no scars on the athlete, or the environment. 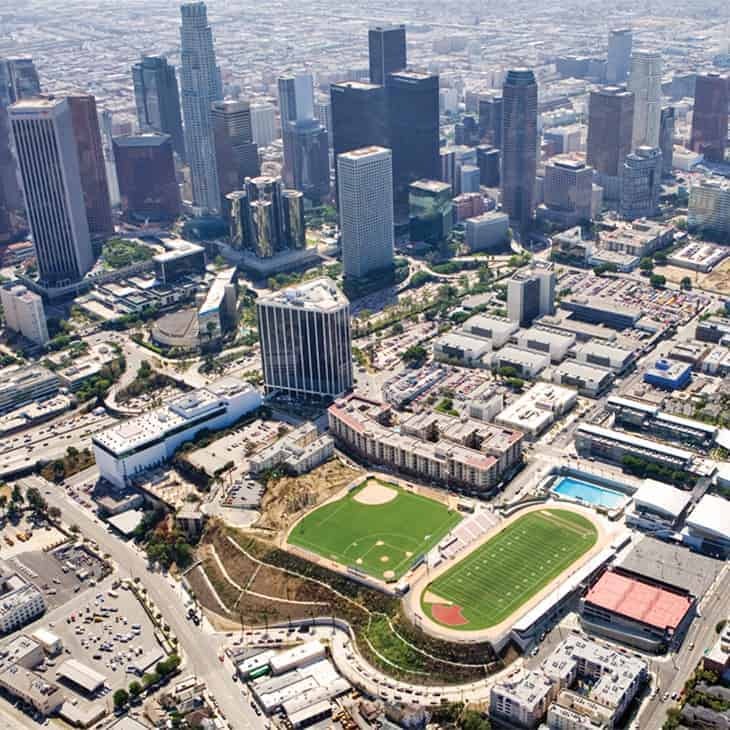 A typical athletic field is equivalent in size to a 500-car parking lot, and can reach temperatures of 175+ degrees. 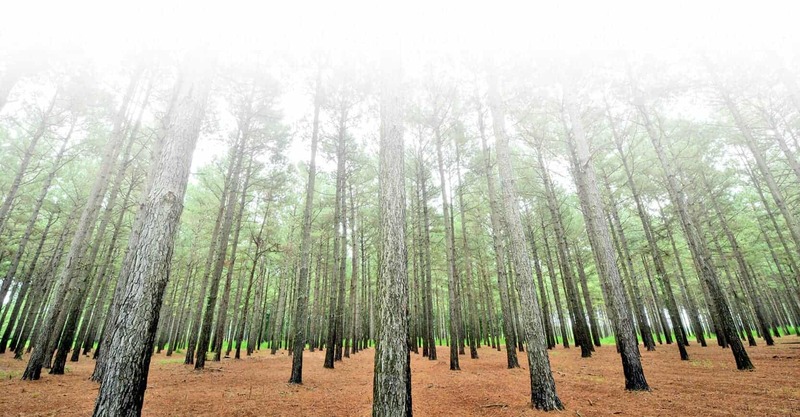 The US Consumer Products Safety Commission suggests the use of WOOD and other materials rather than crumb rubber to create a shock-absorbing surface under public play areas. 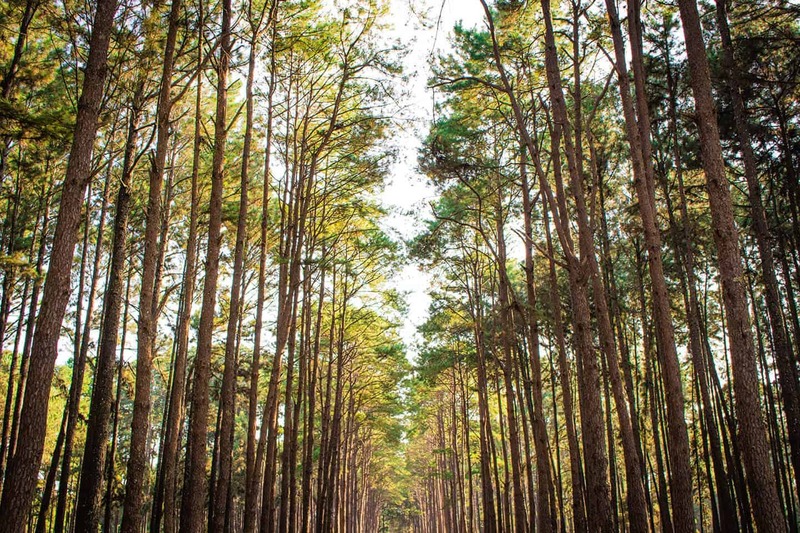 There are plenty of better uses for waste tires, including road asphalt, Speed bumps, railway vibration absorption and more. We have more answers. Check out our complete BrockFILL FAQs page for all the details.